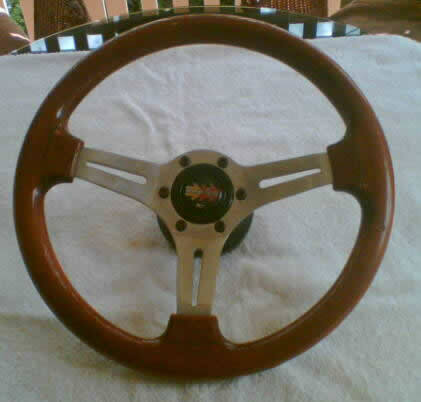 Polished wood, 350mm Mono 3 holes, with boss kit 525T. 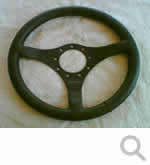 To suit Hyundia Excell or Lantra 1994-2000, or your choice of BOSS kit. 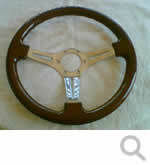 Polished wood, 350mm 3 slotted. 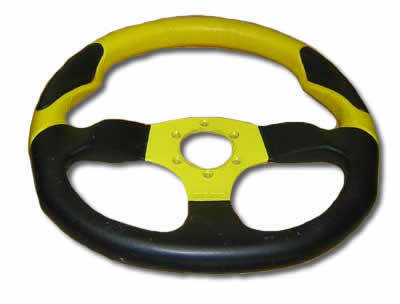 With boss kit to suit L162 Ford EA-B-D (XR6) non air bag, or kit to suit your application. 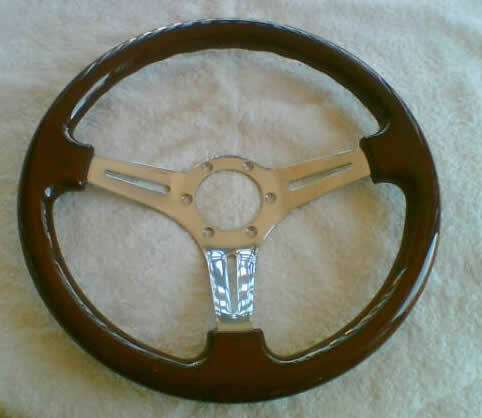 Polished wood, 350mm 3 chrome slotted. 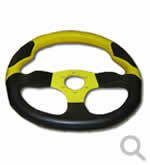 Yellow and black - optional boss kits to suit your application. 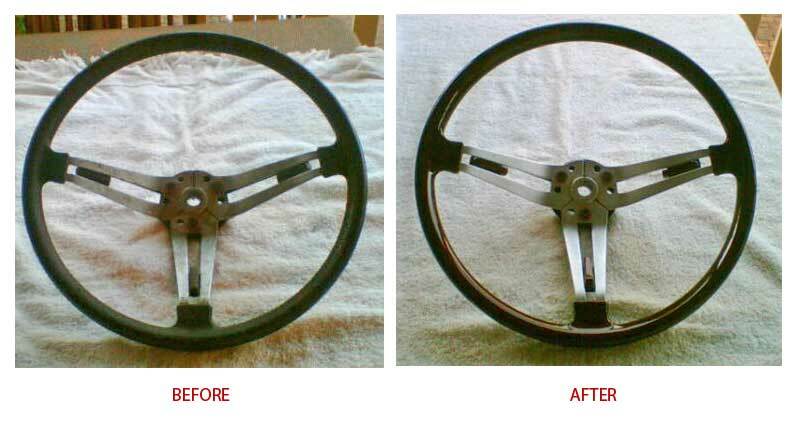 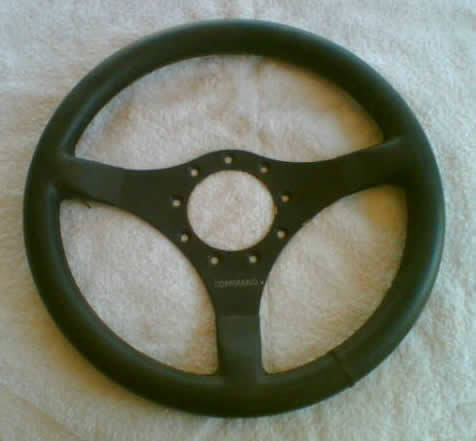 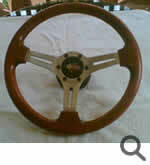 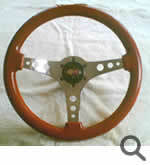 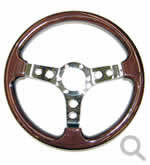 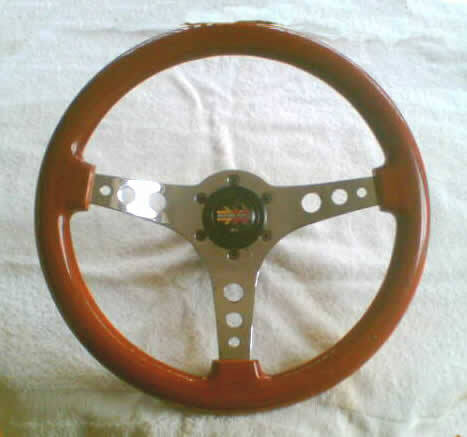 Revheads will restore and restain your wooden steering wheel - see image for before & after shots. 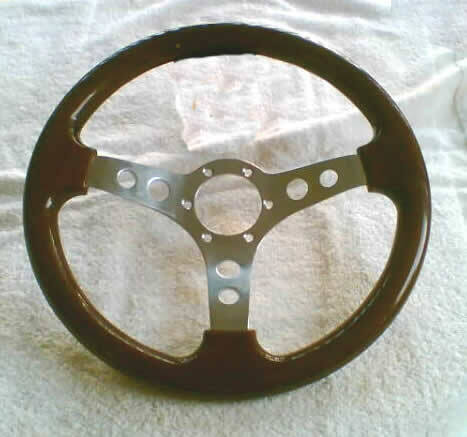 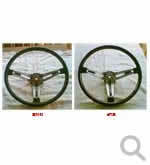 The quality of the restoration depends on the wheel's condition, based on inspection.